Top ultrarunners Jason Schlarb and Jeremy Wolf travel the world in search of the best running trails. This years adventure took them to the south island of New Zealand where they explored remote beaches, fjords, forests, grass lands, glaciers, and mountains. New Zealand is a trail runners paradise full of extreme geographical diversity compressed into a small island. On their journey, they meet up with kiwi trail runners Anna Frost, Vajin Armstrong and Grant Guise who share their local insights and inspiration. 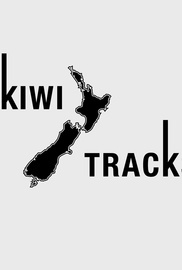 Join along in the adventure and see what trail running in New Zealand is all about.